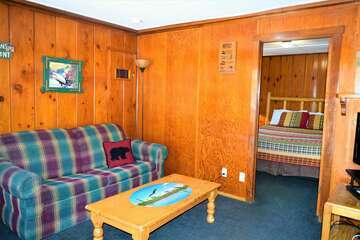 We also offer rental homes in Sugarloaf, CA, one of Southern California’s premier resort communities. 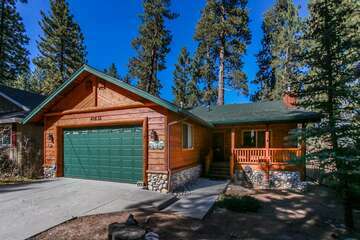 This residential area is only eight miles from Big Bear Lake, and less than a mile south of Big Bear City. 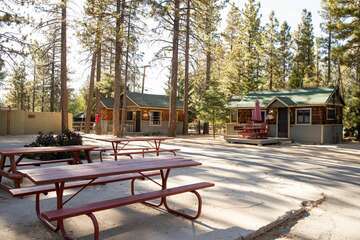 You’ll be able to appreciate the quaint isolation of Sugarloaf, while never being too far from the attractions of Big Bear. If you’re getting hungry – and the pantry is looking empty – consider going to one of these restaurants near Sugarloaf. Kallans Bar and Grill is currently the only restaurant actually in Sugarloaf. Even with little competition, Kallans does not disappoint. Their burgers are big, juicy, and grilled to your desire. Come in on a $6 burger day and you’ll be that much more satisfied with your purchase. Enjoy an ice-cold beer to go along with your burger, and catch the football game on the big screen HDTVs. Even in the less busy winter months, there should be someone from the Sugarloaf community sitting at the bar. This is the ideal place to retire for a drink – or two – after a long day on the slopes, because you can walk back to your home in Sugarloaf. One Yelp reviewer has been coming to BJ’s since the 1980s and claims “they still have the coldest beer and best burgers on the mountain.” If that testimony isn’t enough to get you in the door, then nothing will. This is a local favorite that knows what they do – and how to do it right. Home style cooking and cold beer is their lane. Combining that with excellent service makes for one of the best restaurants in Big Bear. The patio is right on the street and offers views of Big Bear City. Cocina de Mexico has what many consider to be the best Mexican food restaurants in Big Bear Village. Cocina is known for their authentic Mexican dishes and the massive servings that are sure to fill you up. This restaurant in Big Bear Village is hard to miss; Sticking out like a sore thumb, it’s letting you know that this hole-in-the-wall must have great food to stay in business. Prices are fair for everything on their menu, and there’s vegetarian offerings as well. Stop in for a fast, delicious meal on the way back down from the mountain.